Eponyms are stifling scientific progress. An eponym is something that is named after a particular person. I would like to put forward a radical assertion: The habit of naming an idea or principle in honor of its purported discoverer or developer is holding Science back. Therefore, eponyms have no legitimate place in Science (with a capital S). 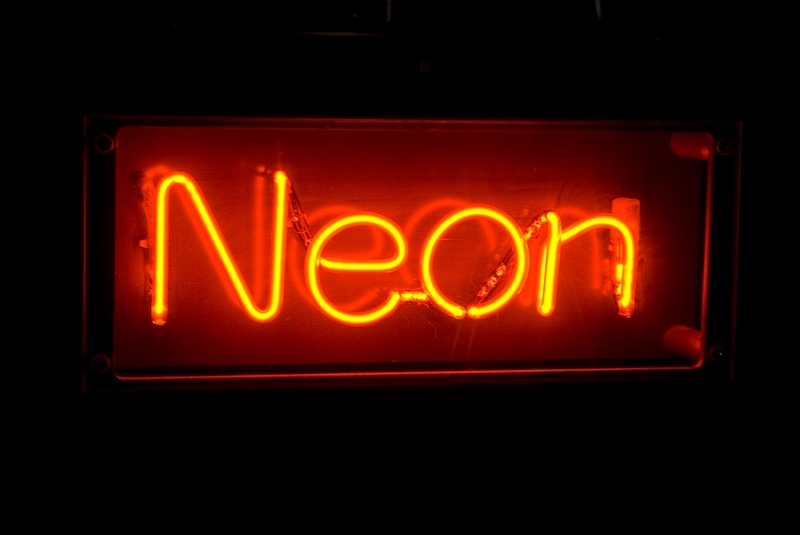 Eponyms are quite ubiquitous – particularly in Science – and seem innocent enough. They really are everywhere, from the classical Archimedian principle, the endearing Triangle and Wager of Pascal to the more preposterous “paradox of Moravec” (which reeks of equally odious and insufferable titles such as “The Bourne Supremacy”, “The Prometheus Deception”, “The Bernstein Presumption” or “The Sternberg Allegation”). So what’s the fuss? The issue of credit. It has been noted – and justly so – that it is the rare principle that it actually named after the guy (sorry gals, it is usually a guy, at least historically) who came up with it. This has been made into a sarcastic meta-eponym itself: Stigler’s law of eponymy, which is as self-consistent as it is self-defeating, as this principle was originally proposed by Robert Merton (and probably by others before him). These things can get rather thorny. Scientists are people, too. Misattribution of credit is one of the few things that can rile up the typical scientist so much that he forgets his good upbringing. A prominent instantiation of this spectacle can be observed at the Nobel prizes, pretty much annually. A scientist scorned truly it not a pretty sight. This issue also tends to confuse the serious student of the history of science, for no good reason. Moreover, we haven’t even touched the problems associated with using common names such as Smith or Miller for eponyms (to say nothing of the potential confusion that looms once Chinese science make a genuine comeback). It perpetuates outdated views of the scientific enterprise. As of this writing, the 21st century is well underway. Romantic notions that the lone hero, the renaissance man of yore who is doing it all by himself (in his basement lab, no less) are extremely outdated. This is simply not how science is done these days, no matter how accomplished the individual in question, even if it makes for excellent copy. True advances in a particular field are usually associated with large teams or even groups of teams. Even if there is a primus inter pares (as in the last sentence), it seems unproportional to attribute all of the success to one or two individuals. This is well reflected in the increasing number of authors on a given paper – to the point that a lone author is starting to raise eyebrows. There is no question that the public still has the “mad scientist in his basement” view of science, which is also being kept alive by movies (the only question remaining whether the scientist in question is sinister, crazy or both). No matter how much this view flatters the vanities of the denizens of the ivory tower, which are otherwise terribly starved of recognition, it is time to do away with it. It is simply no longer accurate, if it ever was. It actually slows down progress. This is the most serious of the charges, and we will spend the remainder of this essay elaborating on it. a) The physical layout of the city is pretty much random (constrained by some geographic features, but otherwise without organizing principle). b) Superimposed on this randomness is a random naming “convention” of streets. Any given street (and there are plenty of them in Berlin) can have pretty much any name. Due to the fact that Berlin was once divided, one can have even the same street name in different districts, but that is a negligible idiosyncracy. So the long preparation time and high failure rate of the exam is not surprising. Both spatial and linguistic long term memory are taxed to the hilt. 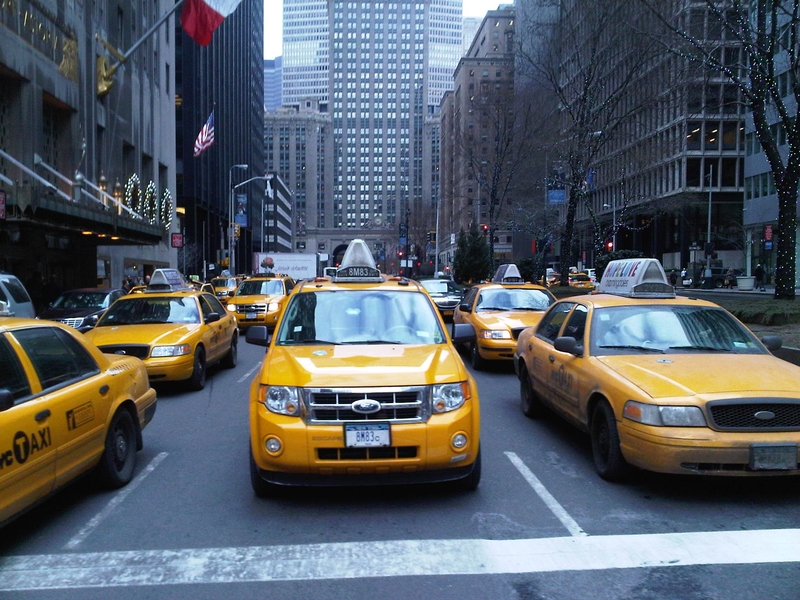 The prospective cabbie has to learn – by heart – thousands upon thousands of otherwise meaningless associations. Avenues run parallel to the Hudson river (roughly north/south) while Streets run perpendicular (roughly East/West). Streets and Avenues are consecutively numbered with integers, increasing from east to west and from south to north. Each house number in a Street exists twice, once east and once west. The dividing line between east and west is 5th Avenue. Almost all Avenues and Streets are one-way, with even-numbered ones going north and east, while odd-numbered ones are going south and west. The opposite is true for Avenues east of 5th. There are a few exceptions to the rules above – there are some additional north-south connections such as Broadyway, Madison and Lexington Avenue. Also, Manhattan below Houston Street does not entirely follow the conventions above. That’s it. Really. You are now good to move about Manhattan. I think you will be able to quickly reach 90+% of your potential destinations without any problems. 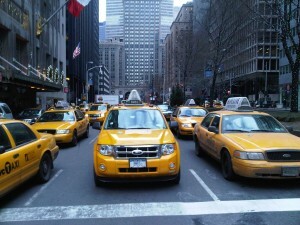 Cabs dominate traffic in Manhattan, for good reason. Note that this remarkable efficiency comes about because we are taking advantage of the structure inherent in both the physical layout as well as the naming of the streets of Manhattan. In Berlin, we can not do that. Randomness does not lend itself to compression (this is one of the bedrock principles of information theory). Now, the Manhattan case is somewhat disingenious (for our purposes). Applying this principle to science, we are not at liberty of laying out the “city” however we please. That – of course – is given to us by nature. However, it is important to note that the geometric structure of reality (in however many conceptual dimensions) is somewhere in between the complete randomness of Berlin and the simple 2-dimensional grid of Manhattan. If it were otherwise, science would not be possible (in the case of complete randomness) or trivial (in the case of the grid). At this point, I would like to provide a reminder of what science is trying to achieve. It is trying to elicit the principles that govern reality in a systematic – and hopefully – efficient way. Given what is the goal of science – compressing the apparent complexity of the external world into as few underlying principles as possible(an enterprise that is both platonic and modern. In this sense, Science is not unlike the jpeg-format). But while we are not at liberty to design the structure of reality itself (at this point in time, at least), we are at liberty to name the uncovered principles in whichever way we please. This explains why eponyms in science are as common as they are damaging. Giving these principles the name of the purported pioneer is the simplest, easiest, but also laziest thing to do. Names – by their very nature – have nominal scale niveau. Any potential structural relationships between principles and ideas (that map on the principles of the real world) are irretrievably lost. This is a big deal, as the scope of science continues to expand. This forces professional scientists into ever smaller specialties, and even threatens genuine progress, as old knowledge is forgotten and rediscovered under different names, see for instance the “flash-lag effect“, which was “discovered” in 1994 by Nijhawan. Before that, it was “discovered” by McKay in 1958 (McKay effect) and before that, it was “discovered” by Fröhlich as the “Fröhlich-effect” in 1923. It is now known as the “flash-lag illusion”. For the scientist, this is equally frustrating and confusing. In addition to fostering forgetting in science (the ultimate bane of the scientist), progress is also stifled in different ways: Learning a new field by relating new ideas to old ones, and by molding cognitive relationships in the shape of the conceptual relationships in the real world makes for rapid learning. If the concepts in the field are such that they simply have to be learned by heart and are meaningless otherwise, there is no advantage in already knowing something. The new concept still has to be learned afresh. This is intimidating. Even fundamental and otherwise trivial concepts, such as a Herzsprung-Russell diagram or the Mahalanobis distance start to appear alien and forbidding to those who don’t already know them. Of course, this adds to the appeal of introducing them. Those who are already in the know, those who have already taken these cognitive hurdles, have an advantage over the beginner – nothing to be scoffed at in an increasingly competitive scientific landscape. Also, it allows to flatter the more eminent colleagues. But it does sacrifice the cognitive efficiency that a true structural geometry of ideas in a given field would allow. It is not easy and for free to generate this geometry. But it can – and should be done. Everyone will be better off in the long run. One successful illustration comes in the form of simple concepts: units. “Newtons” are a classical case. A unit of force, to be sure. But what is the meaning of a Newton? It seems quite obscure, whereas the same unit in SI base m x kg /s^2 is immediately meaningful . A prominent case from Neuroscience is the unit of firing rates. Events (or spikes) per second is immediately meaningful, even to the outsider. Calling it “Hertz” or “Adrians” is not (more on this later). The rest of the conceptual landscape of science necessarily needs to follow. Mathematicians and Physicists – for all their professional snobbery towards the rest of the scientific and academic enterprise (in an ironic reversal of the medieval order which prioritized theology, law, and so on above all the others) tend to be the worst offenders. Thus, I call for a “SI base” of concepts for all the sciences. In analogy to the unit case, the mission of science is to identify a few underlying principles and characterize the relations between them. A formidable challenge to theorists, to be sure, but one that needs to be met. We do need a meaningful language of ideas, if we are to succeed in the long run. This issue goes beyond eponyms. For instance, psychological concepts are often tainted by their equally named everyday meaning, giving novices in the art the dangerous notion that they know what the experts are talking about when they discuss things like personality or intelligence. In short, we need a serious language of science. Using eponyms hides our ignorance about the underlying conceptual structure of reality, particularly the relationships between the concepts themselves. But eponyms are only one apparent manifestation of the problem we are facing and the shortcomings that we are dealing with. In the long run, this will not do. It is not sufficient to assert that “Mathematics is the language of science”, as some do. Mathematics is no such thing. While logic is certainly necessary, sciences requires more than that. Mere internal consistency is sufficient for purely logical disciplines such as Mathematics or Philosophy, but not Science, which is concerned with the external world. The logic of mathematics needs to be related to the structure of the external world. Making these connections is presicely what a language does, and what we are sorely lacking. We are in desperate need of a precise scientific language. To conclude, it is ok to use eponyms for things that don’t matter or that have no inherent structure. Thus, there is a place for eponyms, but science is not that place. The costs of using them in science are too high. There also several revealing examples. What is more informative to the outsider – “the Carrington event” (which sounds like the title of a cheap thriller) or “the solar storm of 1859”? They both refer to the same thing, but the latter is descriptive enough even for those unfamiliar with the actual event to have a rough idea what the term refers to whereas the former is not. What’s worse is that language evokes associations. For instance, the concept of “Granger causality” sounds ominous, complicated and obscure. Maybe it is related to Lagrange points? Not at all. It is a very straightforward (and intuitively plausible, if not uncontested) concept relating two time series, going beyond mere correlation and taking the sequence of events into account. This seems to be a particular problem in medicine. Of course, it *is* understandable why people might want to use them. “Capgras syndrome” is named after the person who first described it and it sounds much more authoritative to say: “You have Capgras syndrome” (implying that we understand what is going on), rather than just saying “You have an illusion of doubles” (which is how Capgras himself described it). So there is an incentive misalignment. The practitioner has an incentive to sound more authoritative than is warranted by our understanding of the syndrome (which might be reassuring to the patient), while at the same time widening the gulf between those who know the lingo and those who don’t. Moreover, it elegantly solves (however imperfectly) the credit problem. Without eponyms, the original discoverer/describer of a condition is soon forgotten. Source memory problems and cognitive economy will see to that. Who first described the “circle of Willis”? Who first described any other vascular structure? Perhaps there is a reason why Vesalius is all but forgotten. As Kant observed: “Ärzte glauben, ihrem Patienten sehr viel genützt zu haben, wenn sie seiner Krankheit einen Namen geben.” – well then let’s make sure it is a good one. There are many things one could call a “Schmitt trigger”, but calling it a Schmitt trigger doesn’t help anyone who doesn’t already know what that is. Barlow’s Syndrome or Mitral valve prolapse? If you could pick any term, which one would you choose? The same goes for Martin-Bell syndrome vs. the much more descriptive “fragile X syndrome”. Actually, I don’t. Concepts can have strong connotations. Can anyone picture what Hermite functions look like (without knowing anything else about them)? Or – in the age of Mad Men – what a Draper point is? Which is why I do all my signal processing with Kaiser windows (no affiliation with Microsoft or Wilhelm II). Speaking of signal processing – do you prefer kernel density estimation or Parzen-Rosenblatt window methods? PS: It is of course understandable why this is – and has been – happening. It is devilishly hard even for experts to keep track of who did what. In a system where value of merit corresponds to the magnitude of one’s contribution, overlooking someone amounts to stealing from them or at least hurting their feelings. Unless we come up with a better way to track contributions, it is understandable how people want to play it safe – enshrining their own name with the contribution itself. Otherwise, it is easy to be forgotten, even if one made seminal contributions. For instance, who discovered rods and cones in the retina? 3 Responses to Eponyms are stifling scientific progress. I must register a different perspective. When one comes across eponyms, one things not only of the science, but the feeling of being in the company of great people, each of which has his story. It makes science feel more human. I’d much rather read a paper with a few names in it than names of committees, or about principle #A2015. You can’t stifle the great man/woman theory of history, which includes the history of science, that easily, nor would I like to see your program carried out to its conclusion. Who reaps the benefits of this upside and when are they reaped. For instance, it is not uncommon that something was beneficial to some people at some point, and it was then established as a habit or cultural norm, but it stopped being beneficial because circumstances changed, yet people continue to do it because of the norm. In other words, there is temporal dimension to this. More importantly, everything also has a downside. The crucial question is who it is inflicted on, and on what timescale. There is not really a “program”, this piece simply focuses on the downside. The intention is to raise awareness of this downside, as it is very real. People will name things regardless, and there is a cost to that if the naming scheme does not reflect the structure between the things to be named, as it will be lost. There is a cognitive cost to pay to relearn this structure deliberately, as evidenced by the parable of the Berlin taxi driver. It would seem eponyms could go either way. Example, evolution. Talking about Lamarckian evolution versus Darwinian evolution. Not the same thing! Referring to the theorist denotes a variation in the theory. On the other hand, what aspect of Darwinian evolution are we referring to, and by calling it that, are we ignoring Wallace? He’s got his own eponym, the Wallace line where mammals are more common on one side, and marsupials on the other. But what does that really mean? The Wallace line wasn’t his only contribution. He was in some ways an independent co-discoverer of the principle accredited to Darwin. Names are easier to remember than numbers. Where there are multiple developers, a description of the phenomena as a name makes more sense though (hence your flash-lag illusion example). When these are over time, such as that same example, it may be ignoring the ‘original’ thinker. But what really ignored that thinker – the person that came next and ‘rediscovered’ it, or, the sometimes insurmountable mountain of literature that the original thought was buried within? i.e. It’s one thing to take credit for another person’s efforts. It’s an entirely different to not realise one has had an unoriginal thought, and it’s a third different thing to pursue normal scientific methodology, such as replication studies.